To anyone writing about the Balkans swiftly comes the sobering and humbling realization that there are already an immense number of books on the region — the shelves at the library of the Royal Geographical Society in London, where I always go first when embarking on a foreign trip, positively groan with tomes, but tomes that are, by and large, almost as unreadable as they are apparently indigestible. From the beginning of the nineteenth century every historian, every writer of letters to The Times — every motorist, even — seemed to wanted to play a part in a debate on the Eastern Question, to have his say at great length, and then for posterity place his say between covers of red morocco. And the tradition continues to this day: Few regions of the world can have exerted — and continue to exert — such a magnetic pull on the world’s literary drabs, and works of terrible dullness and labyrinthine sobriety continue to thunder from the presses, destined to win a few respectful and uncomprehending reviews and then to molder and gather eternal dust. Most deserve to go unread; and if this book suffers the same fate, then I can’t say that I wasn’t warned. But assuming that some readers remain engaged, as I surely am, by the infuriating enticements of the Balkans, I would direct their attention to just three books that stand out, head and shoulders, from all the rest. The familiar but little-read 1943 classic by Rebecca West, Black Lamb and Grey Falcon, though far too long and far too full of amusing invention to impress purists and pedants, remains wonderfully readable and hugely wise. 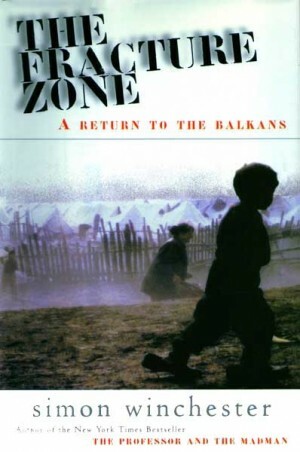 Robert Kaplan has done a splendid job with his Balkan Ghosts, written in 1993, even though he deals more rigorously with Greece and Bulgaria than with the Balkans in the strictest sense, and even though his writing has been so lucid as to influence heavily President Clinton’s policy caprices in the region. And finally, and most important of all, there is Ivo Andric, who won the Nobel Prize for Literature in 1961 in part for having written, in 1945, The Bridge on the Drina, a work that captures the beguiling insanity of the Balkans like no other, and that will make even the sternest of historians weep at the madness of it all. All three volumes are still in print (in paperback, from Penguin, Vintage, and the University of Chicago Press, respectively), and should be devoured by anyone who wishes to take a further interest in what is, it has to be remembered, an unending story — a saga that will go on, I suppose, until the waters of the deluge finally submerge every last spire and minaret and steeple between the Danube and the Peloponnese.